How do jewelry artists come up with great ideas? This is the only HANDS-ON series of tutorials showing how to come up with dozens of DRAWING ideas with each lesson. The first lesson of this creativity series by Eni Oken uses the simple flower as source of inspiration to come up with new and interesting jewelry design alternatives. 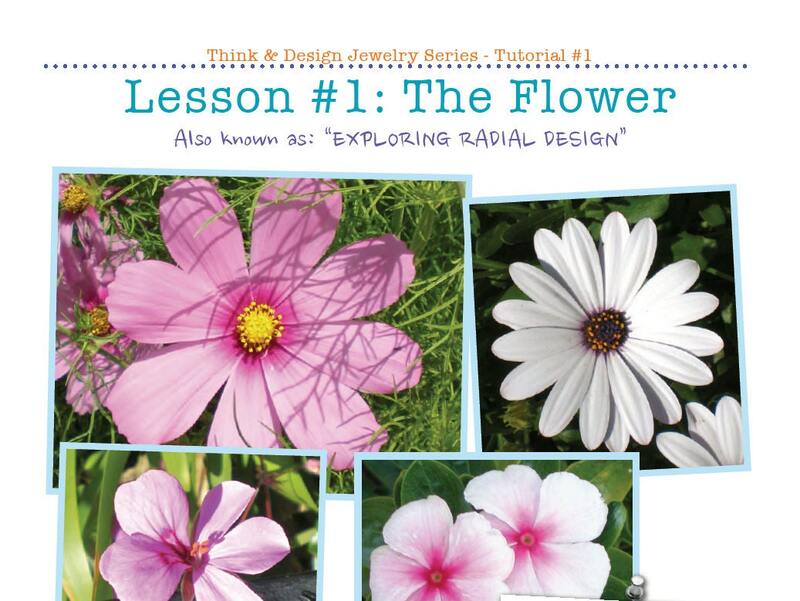 Learn how to use an elegantly simple method to create new designs even from the most overused source such as the flower. Through practical hands on drawing exercises, you will start to understand Radial Structure and how to adapt a design to jewelry making techniques. Requirements: YOU MUST BE COMFORTABLE DRAWING, SKETCHING OR DOODLING. For best results, you must be comfortable with one or more jewelry making techniques which allow “shape forming”, for example silversmithing, metal clay, wire-wrapping, sculptural seedbeading, glass, etc. For more information on the Eni Oken's Think & Design Jewelry series, visit thinkdesignjewelry.com .